It was not a narrative for the faint-hearted, as some of the students who travelled to Marondera to bid farewell to one of theirs recounted how they spent three days with their colleagues’ corpses in the classroom, waiting for the government rescue teams to take them to safety. “After retrieving the bodies, they were placed in a classroom as we waited for rescue. It was terrible and scary. The bodies were lying in the classrooms covered with blankets,” one of the students, who was visibly traumatised, recounted. “Some villagers and the boarding master then made some makeshift coffins to ferry the corpses of our colleagues. We went ahead, at night, not knowing where we were placing our feet. It was gambling, any mistake one would slip and that would have been the end. The road, the terrain was dangerous. 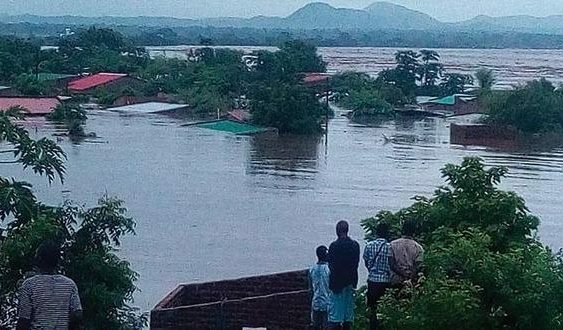 The villagers and boarding master were behind us with the bodies, dicing with death as they manoeuvred their way to the nearest rescue point, at Skyline,” one student narrated. “When we arrived at Skyline, the soldiers who were there said they were not in a position to assist us since they had come to clear the road. It was only after we threatened to proceed on our own that they agreed to ferry us to a safer destination. One of our teachers almost got manhandled by the soldiers as he argued that we needed assistance,” the student said. “We made it on our own to Skyline. No one helped us. Some were taking pictures of us. It was disturbing,” another student said. According to his relatives, it was not an easy task to fetch Jena’s body, but said they were glad that finally he was laid to rest. A woman (67) ‘serial stowaway’ sneaked past Chicago airport security, and boarded a plane to London without a ticket.